The former Microsoft CEO says he's still a believer in Twitter. His M&A track record while Microsoft's CEO doesn't inspire confidence. This column has been updated from June 4 to reflect Ballmer's additional remarks on Twitter. Steve Ballmer is defending his deeply-underwater investment in Twitter (TWTR - Get Report) once again, and the microblogging platform's shares seem to be getting a boost from them. Nothing that the former Microsoft CEO said about Twitter this time around is especially controversial, but the devil lies in the details. On Friday, July 14th, Ballmer defended Twitter, arguing that its turnaround efforts are bearing fruit. "[I]mproving the products some and improving and making the monetization better, I think the company has been on top of both of those things. The market understands that. And it is now getting somewhat reflected in the stock price," he said, while admitting Twitter execs still have "their work cut out for them." As a result, Twitter shares have risen 2.2% to $19.74 in morning trading. In addition to standing by the wayside as Alphabet/Google (GOOGL - Get Report) came to dominate Internet search, as Facebook (FB - Get Report) did the same to social media, and Google and Apple (AAPL - Get Report) swept up mobile operating systems, the low-lights of Steve Ballmer's tenure as Microsoft (MSFT - Get Report) CEO include a string of dubious 10-figure acquisitions. Those deals include the $6.3 billion purchase of online ad agency aQuantive and the $7.2 billion purchase of Nokia's mobile phone unit, both of which resulted in write-downs similar in size to the acquisition price. Microsoft's $8.5 billion 2011 acquisition of Skype is also looking like a less-than-stellar deal. Though Skype retains significant value and has bolstered Microsoft's business communications offerings, it's not a given that it's worth $8.5 billion or more today, considering how Facebook, Tencent and others have come to dominate mobile messaging. Even if Ballmer's also-questionable $2 billion purchase of the L.A. Clippers is left out on the grounds that he had nonfinancial motivations, enough bad deals remain on Ballmer's resume to think twice when he gives investment advice about tech companies. To be fair, though, a lot of the bad deals made while Ballmer was Microsoft's CEO did involve markets that he had good reason to grow Microsoft's exposure to, such as online ads, smartphones and Internet voice and video. The faults lie in how the acquisitions positioned Microsoft, and the price that was paid. Which brings us to Twitter. Nineteen months after disclosing he had amassed a 4% stake in the microblogging platform, Ballmer said in Late May he maintains a "large percentage" stake, and (though denying that Microsoft ever made a bid while he was CEO) that he's confident the company will either resolve its problems on its own or get acquired. Echoing other Twitter bulls, Ballmer argued there's still "a real opportunity to make [Twitter] a valuable economic asset," and that he continued to believe in its potential since it "gives people a chance to communicate directly with the people they want to talk to in the world." 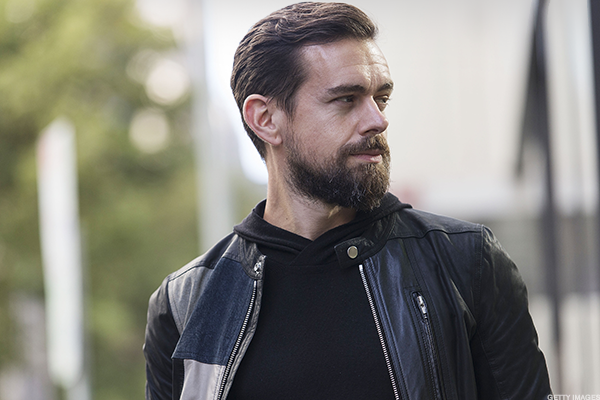 At the same time, he doubted that Jack Dorsey will be able to pull double duty as CEO of both Twitter and Square (SQ - Get Report) perpetually. It's hard to be too critical of what Ballmer says about Twitter's potential value. As President Trump would gladly vouch, Twitter does remain a very unique and differentiated real-time news and communication platform, one that Facebook or anyone else would be hard-pressed to fully replicate. And there is definitely a lot of untapped potential to both make Twitter's content and services appeal to a broader base of consumers, and to increase its value to professionals and businesses. The problem is that a lot of the same things could've been said about Twitter when Ballmer originally disclosed his stake in the company. Several quarters of job cuts, brain drain and tumbling revenue growth later, it's fair to question the ability of Twitter's leadership to turn its platform into a more valuable asset. Likewise, Ballmer is correct that certain recent Twitter moves, such as attempts to crack down on abuse and the addition of non-chronological, algorithm-selected tweets to Twitter's Timeline, seem to be paying off. But in other key areas, such as helping users discover good content and filter out low-quality material, and making it possible to do basic things like edit or attach longer text to tweets, there remains little progress. And all the while, Facebook and Google remain online ad goliaths constantly taking share from rivals with less scale and user data. While Facebook's ad revenue rose 51% annually in the first quarter to $7.86 billion, Twitter's fell 11%, to $474 million. Regarding Twitter's M&A prospects, Ballmer could ultimately be right that a deep-pocketed suitor attracted by the company's potential will make a bid. But it's worth keeping in mind that Twitter reportedly explored a sale last fall, and that Google, Salesforce.com, Disney and others chose to pass after thinking it over. The fact that Twitter isn't especially cheap in light of its growth rates--shares currently go for 4.7 times a 2017 consensus revenue estimate of $2.34 billion, after backing out net cash--may have led some suitors to think twice. Twitter was trading at $29.71 the day before Ballmer made disclosed a 4% stake, and said he was "glad" to have acquired it in the prior months. With shares presently down 34% from that level, chances are that Ballmer is less glad about his purchase today, even if he still believes in his original investment thesis. Just as his former company was left with buyer's remorse over the aQuantive and Nokia deals, even as it continued to believe in the long-term value of the markets those acquisitions targeted. Twitter shares rose 2.4% to $19.79 early Friday afternoon. Apple, Alphabet and Facebook are holdings in Jim Cramer's Action Alerts PLUS Charitable Trust Portfolio. Want to be alerted before Cramer buys or sells AAPL , GOOGL , and FB ? Learn more now .